You still have time to contribute to the Georgia Wildlife Conservation Fund state income tax checkoff! Contributions to the fund – created by law to conserve Georgia’s nongame wildlife and habitat – have helped conserve scores of native animals and plants and acquire thousands of acres for Georgians to enjoy, now and in the future. Look for the Wildlife Conservation Fund checkoff on tax forms. The only known calving grounds for endangered North Atlantic right whales saw few calves this year. Scientists monitoring the bus-sized whales off the coast of Georgia and north Florida spotted 10 calves, about half the annual average since 2000. One of the 10 calves has disappeared and likely died. Clay George, who heads right whale research for DNR’s Nongame Conservation Section, cautioned that the count isn’t final. Calves born in the Southeast this winter but not seen here could be seen later this year at feeding and nursery areas in the Northeast and Canada. Seasonal aerial surveys in this region ended March 31, yet most of the right whales that migrated to Georgia’s coast began returning north weeks ago. George isn’t troubled by this year’s lower calf production. The more significant trend is population growth. Right whales are posting a 2.7 percent per year growth rate, which is slow. But it’s bolstered by what George calls the “upside” from this year’s calving season: No juvenile or adult whale deaths from ship strikes or entanglement in commercial fishing gear were documented. Overall, fewer deaths by collision with vessels is credited to regional ship speed restrictions. Another upside is that DNR and others partially disentangled a whale from commercial fishing gear in February (video). Although not seen since, there’s hope the whale will be spotted in northern waters. Researchers stress, though, that the key to entanglements is prevention, not intervention. Entanglement is a leading cause of right whale deaths, and 83 percent of the whales bear scars from being entangled. For these long-lived and slow-to-reproduce creatures, such threats underscore the fragility of the species and the importance of calving – particularly with fewer than 100 breeding females left. George said that if right whales slip into a protracted period of below-average calving, the population will begin to suffer. Trends can take years to surface. When they do, they can involve large-scale factors, such as climate change, that can alter habitats and prey sources on a scale as big as the Atlantic. 32: Right whales other than mothers and calves seen in the Southeast this year. Most were younger than 10 years old. 20.6: Average number of calves documented per year from 2000-2013. The average since 1990 is 16.7, and 15 since 1980. 19.9: Average number of calves per year from 2000-2014. 8: Calves that scientists collected genetic samples from this season. 5 (at least): Individual humpback whales seen. Photos from the 2013-14 season. At the start of the calving season, some thought a female right whale nicknamed Caterpillar might be pregnant, judging by her size and age. The fact that the 9-year-old whale had survived a ship strike also heightened interest, and possibly increased the risk of complications if she gave birth (“Hoping Caterpillar’s luck holds,” Dec. 20). But Caterpillar was never seen with a calf. It’s possible but unlikely she could be spotted later this year with a calf in northern waters. Why unlikely? When Caterpillar was first seen this season, she had new entanglement scars. Researchers do not typically see recently entangled females with calves. Which is not to say Caterpillar won’t calve another year. As George said, she’s still fairly young. Although aerial surveys have ended, right whale coordinator for Sea to Shore Alliance, Patricia Naessig, notes there are still right whales off Georgia and Florida, and boaters should exercise caution. According to the ship strike reduction rule, vessels 65 feet or longer must travel at 10 knots or less until April 15 off northeastern Florida and the southern half of Georgia’s coast. To cover the whales’ migration north, the speed limits are in place until April 30 for the rest of the Georgia coast and north through much of the mid-Atlantic. Since restrictions were implemented in 2008, no known fatal ship strikes have occurred in the management zones, according to NOAA. During the 18 years before, 13 right whales died after being hit by vessels in the same areas. Ship strikes and entanglement in commercial fishing gear are leading threats to the species. Sea to Shore Alliance conducts aerial surveys for right whales off Georgia and Florida from December through March, alerting mariners operating commercial, military and other vessels of whale sightings. Mariners can report right whale sightings on marine band radio channel 16 or by calling the Right Whale Monitoring Program at 888-97-WHALE (888-979-4253). Report entangled, injured or stranded whales or other marine mammals by calling DNR’s hotline at 800-2-SAVE-ME (800-272-8363). NOAA’s Dolphin & Whale 911 app can also be used. We Americans have long loved the ruby-throated hummingbird. This affection is so widespread that, without hesitation, I would say this feathered sprite is the most popular bird in the Georgia. But I’ve often wondered just how long we have been enamored with this flying dynamo. Recently, I stumbled across a book that indicates our affection is a lot older than I imagined. 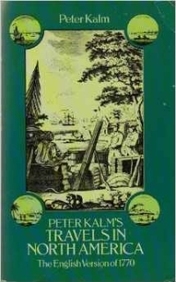 Written before the American Revolution, “Travels in America” by early Swedish-Finnish explorer Peter Kalm includes an account about the ruby-throated hummingbird, or – as Swedish and English colonists called it – "The King's Bird." Read Terry’s complete column. It is chock full of insights and beliefs about ruby-throats from more than 260 years ago. Terry W. Johnson is a former Nongame program manager with the Wildlife Resources Division and executive director of TERN, the Nongame Conservation Section’s friends group. "Out my backdoor” columns archive. Looking for new places to explore? 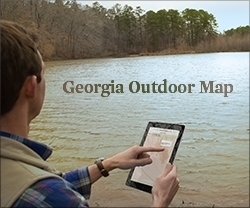 Take the first step by going to Georgia Outdoor Map. This interactive, online map created by Georgia DNR will guide you to wildlife management areas, public fishing areas, state parks, boat ramps and historic sites across the state. Through quick searches by categories such as camping and hiking, you can drill down to site-specific features varying from wildlife watching to trailheads and primitive campsites (if you’re really into camping primitive). The site works with any web browser, via desktop, smart phone or tablet. A “near me” function helps you find the closest recreational opportunities. For each site, there are directions, contact information and other key details, such as accessibility. Find out where to get out and enjoy Georgia’s great outdoors at www.georgiaoutdoormap.com. Georgia lawmakers passed two bills this year that will significantly help nongame. Senate Bill 322 makes it illegal to use gasoline or other chemicals to drive rattlesnakes from gopher tortoise burrows, a practice that threatens tortoises and other creatures that use the burrows. House Bill 881 reduces purchase and renewal fees for DNR wildlife license plates, and increases to more than 75 percent the share of those fees that goes to wildlife conservation. Plates are the top fundraiser for the Nongame Conservation Section, which receives no state appropriations. Legislative changes in 2010 that raised tag fees and reduced the amount dedicated to wildlife resulted in fewer sales and renewals. 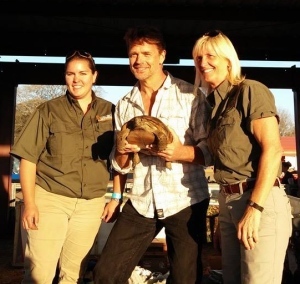 The number of wildlife plates in circulation fell 69 percent by 2013. Neither bill has been signed into law yet. The State and Tribal Wildlife Grants Program takes a 15 percent cut in President Obama’s 2015 budget. Teaming with Wildlife and others are working to raise the proposed allocation for State Wildlife Grants, the lead source of federal funds for states to conserve nongame and keep species from needing federal listing. The Association of Fish and Wildlife Agencies is forming a “blue ribbon panel” to explore how fish and wildlife diversity funding should be financed in an era of declining federal investments in conservation. A report is expected by the end of the year. Sea turtle nesting starts soon, and a recent report says the Georgia Sea Turtle Cooperative documented 2,289 loggerhead nests in 2013. That’s the most since comprehensive surveys began in Georgia in 1989 and more fuel for the promising trend that shows loggerhead nesting increasing at 2.9 percent a year. A pre-season sea turtle workshop and cooperators meeting is April 22 at DNR offices in Brunswick. 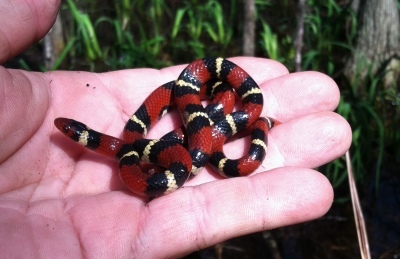 DNR wildlife videos on topics varying from loggerheads to longleaf pine forests are now online. The library of more than 50 videos also covers fishing, hunting, state parks and history. Trying to sell baby diamondback turtles landed a Gwinnett County man a 120-day jail sentence in Walton County last month. 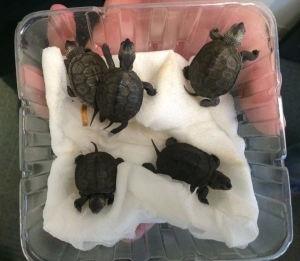 A DNR Law Enforcement ranger charged the man with taking nongame in December after finding the protected coastal species advertised, for about $35 a turtle, on Craigslist. The disease that has killed bottlenose dolphins along the Atlantic coast since last summer hasn’t waned yet, and will likely linger through spring, biologists say. The rate of dolphin strandings in Georgia remains higher than normal -- the Marine Mammal Stranding Network has documented about three per week through March. Dolphin morbillivirus has been blamed in the deaths of hundreds of dolphins from New York to Florida. Report stranded dolphins and other marine mammals by calling 800-2-SAVE-ME (800-272-8363). Plants get the short end of the stem in federal conservation funding. Comparing the taxonomic groups, Dr. Vivian Negrón-Ortiz of the U.S. Fish and Wildlife Service writes in the journal Biological Conservation that although plants make up more than half of federally listed species, they received less than 5 percent in recovery expenditures from 2007-2011, the lowest per-species funding under the Endangered Species Act. Four budding bird artists led the T-shirt Art Contest portion of Georgia’s Youth Birding Competition. 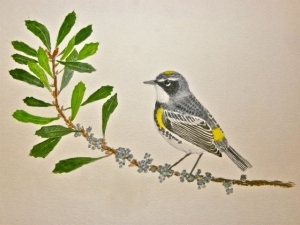 Grand-prize winner Angus Pritchard, a Decatur eighth-grader, will see his yellow-rumped warbler (above) printed on T-shirts at the April 25-26 birding event. Other division winners: (primary) Amelia Courson, Cleveland; (elementary) Sophia Bobo, McDonough; and, (high school) Rosemary Kramer, Thomaston. More photos. The Give Wildlife a Chance Poster Contest is accepting local-level entries until April 16. This statewide competition by the Nongame Conservation Section, State Botanical Garden of Georgia and The Environmental Resources Network (TERN) encourages kindergarten through fifth-grade students to explore the wonders of Georgia’s native plant and animal species. Details. The proposal to list red knots as federally threatened is open for more comments after the Fish and Wildlife Service recently reopened the comment period until May 19. Requests to hold more public hearings triggered the extra time and two additional hearings next month in North Carolina and Texas. "Forestry: A Foundation for our Future," the Georgia Forestry Foundation's new education initiative, gives students in fifth-12th grade the chance to win prizes valued up to $35,000 for them and their schools for artwork and slogans that express the value of Georgia’s sustainable working forests. A winner will be picked from each of two divisions: fifth-eighth grade and ninth-12th. Deadlines and details. The Claxton Rattlesnake and Wildlife Festival drew a crowd estimated at more than 15,000 to the south Georgia city last month. Features included wildlife, former “Dukes of Hazzard” actor John Schneider and, well, Schneider with wildlife. The actor, gopher tortoise in hand, is pictured with Nongame biologist Dr. Jess McGuire (left) and educator Kim Kilgore. Names in the news: McDuffie Environmental Education Center’s education coordinator, Dot Kay, has been named PreK-16 Formal Educator of the Year by the Environmental Education Alliance of Georgia. Plant photographers, authors and volunteers Hugh and Carol Nourse were honored with the 2014 Alec Little Environmental Award at the EcoFocus Film Festival in Athens. Bo Callaway, former congressman and head of Callaway Gardens, died at 86 on March 15 (article, video). 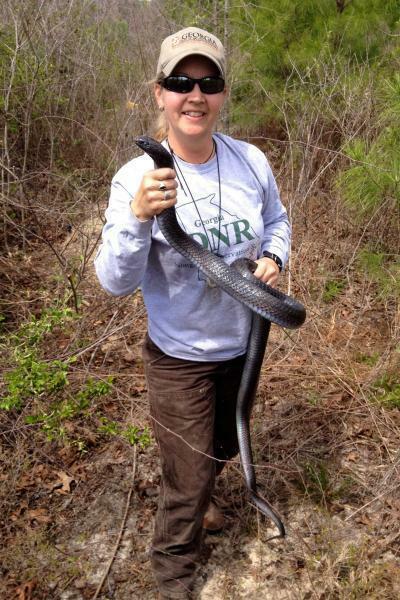 Dr. Mincy Moffett, DNR botanist and new steward of Rock and Shoals Outcrop Natural Area, will a lead privet-killing, debris-clearing work day at the Clarke County site April 21 to help state-endangered sun-loving draba (join them). 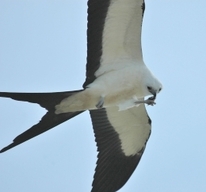 And don't forget to check out the DNR wildlife video library, now online! Conservation Section gopher tortoise survey crew found recently in Wayne County. beauty, according to "Amphibians and Reptiles of Georgia" (UGA Press).